Autoflowering cannabis seeds are seeds that, it may not be a surprise, flower automatically. The name says it all. 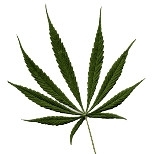 Autoflowering seeds come originally from a cannabis species called ruderalis. Ruderalis is a very short and fast growing plant discovered in eastern Europe. The master breeders at AMS mixed ruderalis with our other well known marijuana genetics, creating new autoflowering seeds that grow out to beautiful and tasty strains. The difference in taste between regular and autoflowering seeds is small. Back in the days, when Cannabis Ruderalis was discovered and crossed with indica and sativa strains, the quality of autoflowering cannabis seeds was poor. Today, you can’t taste the difference between a delicious AK47 XTRM grown out of autoflowering seeds or the regular way. So buy your autoflowering seeds now at Amsterdam Marijuana Seeds. A big advantage of autoflowering seeds is that you no longer depend on the weather or light. Autoflowering seeds grow fast because they skip the vegetative stage and don’t need a strict lighting schedule. Plant your autoflowering seeds in June and they are full grown strains in August, when summer is in full swing. The best autoflower strains can even flower 3 to 4 times a year. Pretty crazy, right? When this is music to your ears, there is one thing you need to know before buying autoflowering seeds: the harvest of autoflowering cannabis seeds is smaller than what you get from regular weed seeds. However, there are more and more species available that produce more buds. The autoflowering seeds of Amsterdam Marijuana Seeds (AMS) can grow anywhere. Even the most inexperienced grower will know what to do with them. Since our autoflowering cannabis seeds are all feminized, there’s no need for much work or gender elimination. 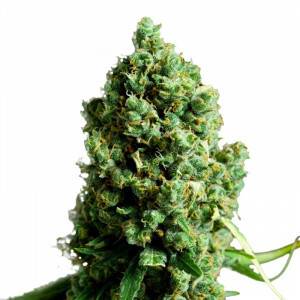 Autoflowering seeds are ideal for the home grower with limited space. Although commercial growers will not use auto flowering seeds because of the small yield. Not convinced yet to buy autoflower at AMS? Let me tell you more about the benefits of autoflowering seeds. Other advantages of autoflowering cannabis are that you besides you have multiple harvests per year, they stay small. The grow and flowering period is short, so you can harvest fast. The plants are very resistant, even for pests. Our autoflower cannabis seeds are developed and perfected by Dutch top growers of Amsterdam Marijuana Seeds. With our seeds, you grow the best autoflower strains and more. Because we have lots to offer: did you see our assortment of regular seeds? Or do you like to a fine piece of extraordinary hemp cheese from Amsterdam? Find what other products make you smile! Autoflowering seeds USA, Australia, Europe or Africa. It doesn’t matter from which continent you are, at AMS we make sure you’ll receive your order. We send our packages by registered mail in crush proof sealed envelops without marijuana-related content. That way we are sure the mailman is coming by without trumpeting what you are up to. That is all up to you. The best autoflowering seeds come from Amsterdam Marijuana Seeds. We offer high-quality autoflower at good prices. All packages contain 10 autoflowering seeds. So, now we’ve established that growing autoflowering seeds is easy and that buying them at AMS is very attractive... The next step is to figure out which best autoflower strain fits you. We have a lot to choose from when it comes to autoflower: The strong and very potent AK47 XTRM is our bestseller. Our Cheese autoflowering is a mix between Master Kush and Super Skunk. Or maybe you are brave enough to try our Autoflowering combo, The Ganja Dwarf and Light of Jah. We also have the famous Chronic, best known from the hip hop scene. Light of Jah is our personal favorite. AMS has also White Widow and White Widow XTRM, these autoflowering seeds are the obvious choice for us to keep in stock. Besides that we have special autoflowering seeds like Amnesia Trance feminized, which will send you sky high. And Caramelicious is a delicious sweet tasting weed, Limoncello is a sweet too with a strong lemon haze autoflowering. At AMS, we like to think along with you: what are the best autoflower strains and which one suits you? How do we together make your cultivation a success? In order to make you happy as a customer, a grower and a smoker, we give you the tools you need: high-quality products, excellent service, expert advice. We are always available to help you out. 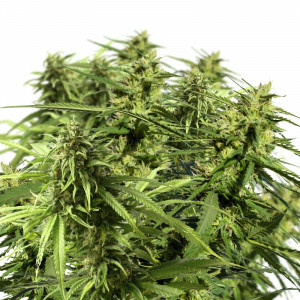 Amsterdam Marijuana Seeds has the best autoflowering seeds available. If you have any questions about the growing process, yielding or other uncertainties, please contact us. You can fill in the form or send us an email. Within 24 hours we respond and help you with whatever you're bouncing into with autoflowering cannabis seeds. The best reason to start autoflower grow is the joy you will get out of watching those tiny little autoflower seeds become the most beautiful strains so fast. Anyone can grow autoflowering cannabis, even if you don’t have any experience with gardening. Our online Grow Guide might give you all the information you need to grow the best autoflower strains. Autoflowering seeds have become very popular and are an excellent choice for first-time growers and experienced breeders. Order your favorite autoflowering seeds USA now or try something new. Order your seeds now here at Amsterdam Marijuana Seeds, the autoflowering seeds specialist from the capitol of marijuana. Our assortment marijuana seeds is growing every day. At the moment we sell over 120 strains, like Rainbow Kush and Cappuccino 420 Feminized.